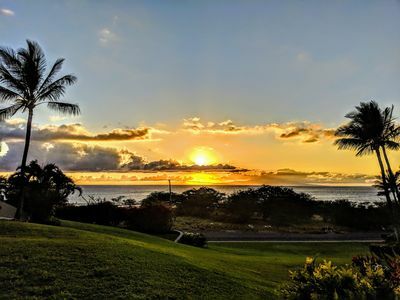 Maui Sunsets, Ocean View, Tropical Fun! 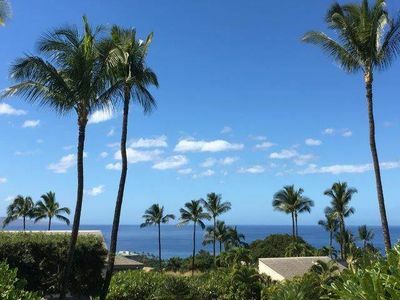 Maui Sunsets, Ocean View, Tropical Fun! 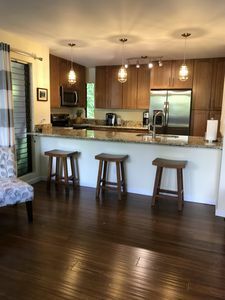 This fully equipped one bedroom condo provides all of the amenities and comforts of your home, but feels like vacation. 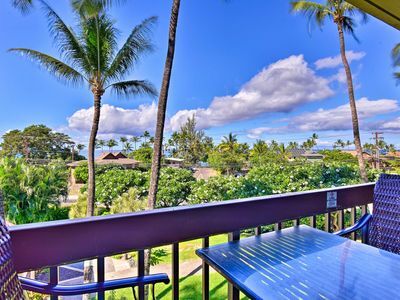 This coveted South Kihei location is conveniently located across from Cove Park, South Maui's premier surfing and paddle boarding beach park. 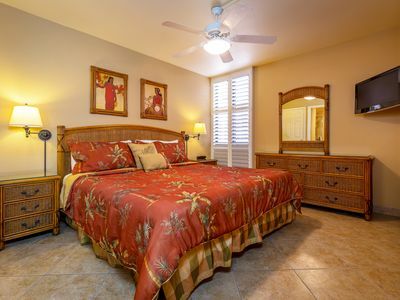 A variety of restaurants, shops, activities, bars, and beaches are within walking distance. 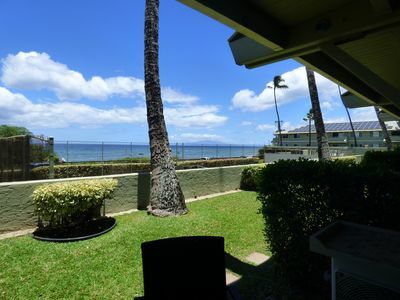 South Kihei, the western central part of the Valley Isle island of Maui, has the least rainfall of anywhere on Maui. That means MORE SUNNY DAYS FOR YOU! 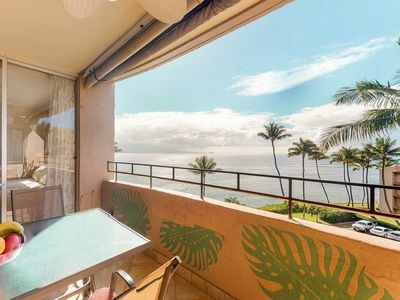 The Garden Level Ocean View suite faces west, providing stunning Sunsets daily, even from the living room! 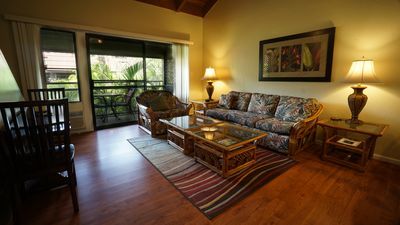 A rare feature of our condo is our quiet split AC system in BOTH the living room and bedroom, both operated by independent remote controls. 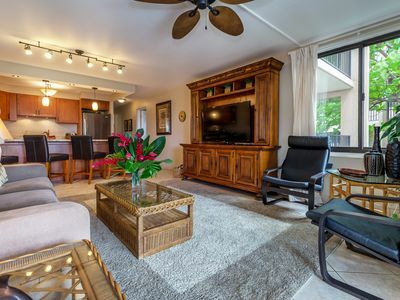 Enjoy some down time while watching TV on our 46" Samsung smart television while relaxing in the living room, or on our 32" Samsung television in the Master Bedroom. 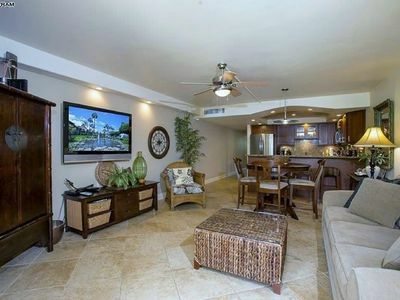 The entire condo unit offers FREE private WiFi throughout unit. A landline phone in the unit provides free calls within the United States and Canada. Front door security screen and key-less entry code make it entrance and exit simple, no need for a key. Another rare feature of our condo is our washer and dryer. 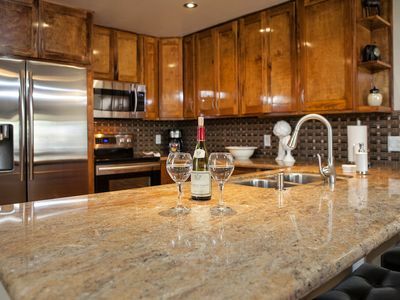 Our kitchen is fully equipped in case you choose to take advantage of the grills on the property or cook in the kitchen. 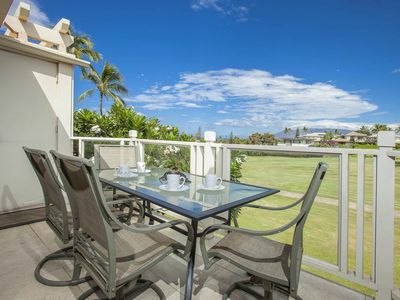 A lawn area fronts the unit, making entertaining outside enjoyable as you gaze at the gorgeous ocean views. 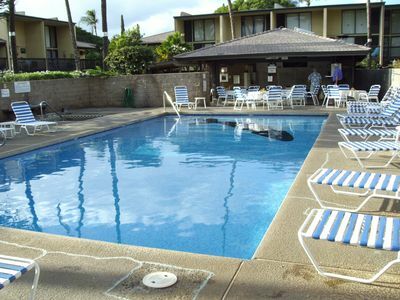 We are beach friendly, as we provide beach chairs, a beach umbrella and beach towels. 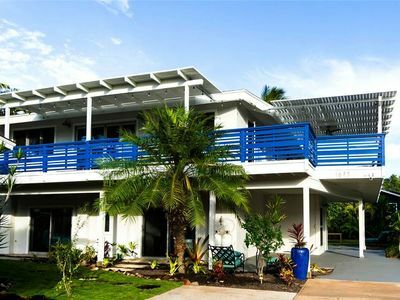 While on the property, enjoy the pool and jacuzzi, offering priceless expansive views of the ocean and neighboring islands. 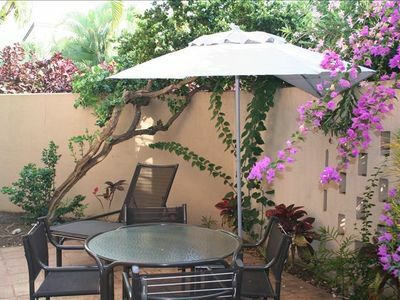 This condo is garden level and PERFECT for guests who cannot handle stairs. 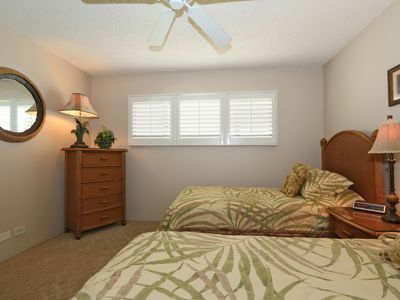 One parking space is included with the unit rental. 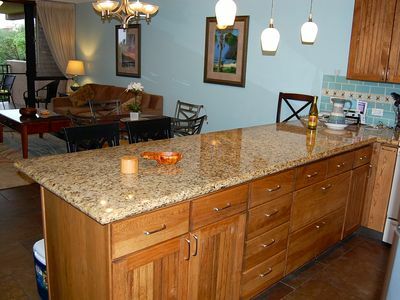 This condo sleeps up to 5 guests. 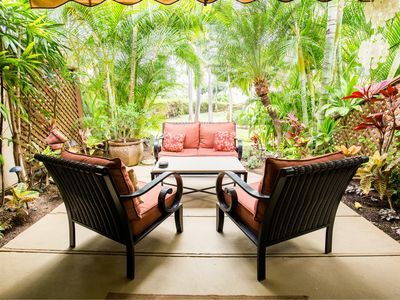 Paradise awaits, why wait with these rates! 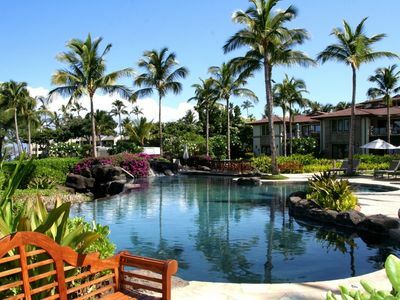 Absolute Paradise! 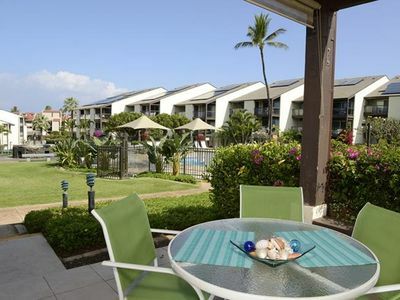 Enjoy Maui Kamaole at it's finest! 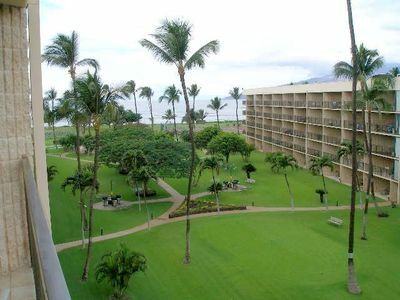 Unobstructed Sunset Ocean View 1BR Maui Kamaole Condo G115!